Cover Bradford Rhea stands next to his marble sculpture Exordium. Photo by Chris Coleman. Photo by Kathy Davidoff of Nathrop, a member of Sangre de Cristo Electric Association. COCountryLife pinned: Have you had a grilled cheese sandwich for breakfast? Try Sunday Brunch Grilled Cheese drizzled with a brown sugar bourbon sauce. FACEBOOK CHATTER CREA posted: Congratulations to Y-W Electric Association for winning the Pinnacol Assurance’s Circle of Safety Award for the sixth year in a row! This is awarded to businesses that show exemplary performance in safety, loss control and financial and claims management. Monthly Contest Enter for your chance to win a copy of Grilled Cheese Kitchen: Bread + Cheese + Everything in Between. Take a look at pages 12 and 13 to find out how to make a Bro’Wich. For official rules and how to enter, visit our contest page at coloradocountrylife.coop. large plants and is transmitted through high voltage lines. We owe a debt of gratitude to all the people who keep the grid up and running. Since National Lineman Appreciation Day is observed in April, this is a great time to tell your local electric co-op line crews that you appreciate their hard work and dedication to the job. After all, when the next bomb cyclone comes roaring across Colorado, co-op crews will be the ones picking up the pieces after the storm. ne of the advantages of working for Colorado’s electric MONA NEELEY cooperatives for the last 24 years is that I have traveled all over our state. One of this month’s stories takes readers to northeastern Colorado, which, like most places in the state, is filled with interesting people (see page 16) and amazing landscapes. A year ago, I had an opportunity to really see this part of the state from a new perspective — from the air. With Highline Electric Association board member Jim Lueck and Highline employee and pilot Mark Harshbarger, we flew over the rolling hills and craggy bluffs of this corner of the state. This new view gave me an appreciation, not only for the eastern plains sometimes overlooked beauty, but also for what it takes for electric co-op crews to bring electricity to the people at the end of long country roads on our vast landscape. It gave me a renewed respect for what electric co-ops do. Mona Neeley is the statewide editor of Colorado Country Life, which is published in coordination with your local electric cooperative. Its goal is to provide information from your local electric co-op to you, its consumer-members. LEARN MORE ONLINE Visit coloradocountrylife.coop to learn about ways to become more energy efficient. Look under the Energy tab. ...with the amazing DR® POWER GRADER! SAVES YOU MONEY—loosens and redistributes existing material, saving you from purchasing new gravel or stone. PRECISE CONTROL of grading depth is adjustable from your driver’s seat. AMAZINGLY DURABLE carbide teeth last 10X longer than steel on ordinary box scrapers. EASY TO USE—tows behind your ATV or riding mower, filling in potholes and ruts. one-half of your total energy use, so replacing your old windows might only reduce your total energy costs by about 10 percent. When you consider the high cost of new windows, you may not recoup your investment for 15 to 20 years, or even longer. Q: My kids claim using the dishwasher is just as efficient as washing dishes by hand. Are they correct? A: Yes, they are. In fact, it’s usually more efficient. Properly used dishwashers actually use less water while doing a better job and, as a bonus, they will save you more than 200 hours per year. For maximum energy savings, make sure your water heater is set to about 120 degrees and use the most efficient wash and dry settings. Q: Does the age of my home determine how energy efficient it is? A: Newer homes tend to be more efficient because energy codes have improved, but every home can have hidden energy issues, no matter its age. If you want to evaluate the efficiency of your home, it’s best to schedule an energy audit with a professional. This column was co-written by Pat Keegan and Brad Thiessen of Collaborative Efficiency. *81999319 * 81999319 Cannot be used with other discounts or prior purchases. Original coupon must be presented. Valid through 8/2/19 while supplies last. Limit 1 FREE GIFT per customer per day. | RECIPES@COLOR ADOCOUNTRYLIFE.ORG Enter our contest to win a copy of Grilled Cheese Kitchen: Bread + Cheese + Everything in Between. Visit Contests at coloradocountrylife.coop for details on how to enter. Try these unique recipes for an old favorite. ew can pass up a beautifully browned grilled cheese sandwich. Ooey-gooey cheese wrapped in warm, toasted, buttery bread: What’s not to love? Which is why we were overjoyed when the newly released cookbook Grilled Cheese Kitchen: Bread + Cheese + Everything in Between caught our eye. Wife and husband Heidi Gibson and Nate Pollak, owners of San Francisco-based American Grilled Cheese Kitchen, compiled a vast assortment of unique grilled cheeses, soups and other tasty concoctions that grilled cheese lovers will delight in sinking their teeth into. Preheat oven to 400 degrees, with the convection option on, if you have it. Place a baking sheet in the oven to preheat. Spread the butter on one side of each bread slice, dividing it evenly. Place the slices, buttered-side down, on a clean cutting board. RECIPES Spread the Dijon mustard on one slice, then top with the Havarti, turkey, arugula, bacon and Cheddar. Spread the stone-ground mustard on the second slice of bread, then layer with the Colby Jack, tomato slices, pickle chips and ham. Place the Swiss on the third slice and arrange the pickled onions and jalapeño on top. Remove the hot baking sheet from the oven and, using a wide spatula, carefully transfer the topped bread to the baking sheet. Bake for 3 to 4 minutes, until the cheeses start to melt and the fillings are warmed through. When you put the baking sheet in the oven, immediately begin to preheat a cast-iron or nonstick skillet over medium-low heat. LOOKING FOR MORE OOEY-GOOEY GRILLED CHEESE FAVORITES? Using a wide spatula, transfer the topped bread to the hot skillet, bread-side down. Cook until the bottoms are nicely browned, about 2 minutes. Transfer to a clean cutting board. Place the Swiss-jalapeño piece bread-side down on top of the piece with turkey and bacon, then carefully turn over the Colby Jack — ham piece and place it, bread-side up, on top of the sandwich. Cut the sandwich carefully into quarters and serve immediately. DO YOU HAVE A GREAT RECIPE? If you have a recipe you want us to try, send it our way at recipes@coloradocountrylife.org. Content reprinted from Grilled Cheese Kitchen: Bread + Cheese + Everything in Between by Heidi Gibson with Nate Pollak with permission by Chronicle Books. Community Service Adds to National Meeting Electric cooperatives’ concern for community is not limited to just their neighborhoods — or the workweek. On Saturday, March 9, before the official start of the National Rural Electric Cooperative Association Annual Meeting in Orlando, Florida, 100 volunteers from co-ops around, including Kohler and Kathleen McInnis of La Plata Electric in Durango, the country joined forces in support of East Orlando’s Covenant House. For its 11th annual community service project, Touchstone Energy® Cooperatives, the marketing brand for local electric cooperatives, partnered with Rebuilding Together Orlando to make repairs at a nonprofit shelter and service center for runaway, homeless and at-risk youth aged 18-24, including teen parents and their children. Co-op volunteers spent the day painting interior and exterior walls, cleaning out closets, landscaping, and sanding and staining tables at the Covenant House facility, one of two in Florida. Co-op Power Supplier Helps Honor Conservationists A farm or ranch dedicated to conservation practices will be recognized in April thanks, in part, to electric co-op power supplier Tri-State Generation and Transmission Association. Three finalists were selected for the prestigious 2019 Colorado Leopold Conservation Award given in honor of renowned conservationist Aldo Leopold. In Colorado, the $10,000 award is presented annually by Tri-State in partnership with four other organizations. The finalists are: •	The Livingston Ranch of Stratton in Kit Carson County: Mike and Julie Livingston raise cattle, wheat, milo, corn and hay with their children, Kari and Justin, and their families. Cover crops and no-till practices have improved soil health, while reducing water runoff and soil erosion. Wildlife habitat is important to this operation and has been included in all conservation efforts. •	Off Ranches of Del Norte in Rio Grande County: Cory Off raises beef cattle and hay at his ranch along the Rio Grande River. Conservation improvements to the ranch’s landscape, such as the establishment of buffer areas around wetlands, have bolstered wildlife habitat and attracted a variety of plants, birds and wildlife. •	Gregg, Chris and Brad Stults of Wray in Yuma County: The Stults’ have added cover crops and no-till practices. Their land provides habitat for 53 species of birds, including greater prairie chickens and the western yellow-billed cuckoo. This year’s recipient will be honored June 17 at the Colorado Cattlemen’s Association’s annual convention. Curtis Wynn opened his National Rural Electric Cooperative Association presidency with a solid message for electric co-ops in the face of change: acknowledge the industry’s transformation, adapt and lead the way for consumer-members. “During my tenure as president, I will be challenging all of us to fully examine the way we view our future, our individual cooperative’s place in it and how we can lead our co-ops and our communities into the next generation,” Wynn told the final general session of NRECA’s 77th Annual Meeting on March 13 in Orlando, Florida. Wynn, the North Carolina director serving on the board, was elected to a two-year term to succeed Illinois Director Phil Carson. As he takes the helm, Wynn will draw from his 38 years in the co-op family. Since 1997, he has served as president and CEO of Roanoke Electric Cooperative in Ahoskie, North Carolina. Electric Co-ops Add to National Economy Local electric cooperatives may be small, independent businesses, but together they make a huge difference in the nation’s economy. The co-ops support nearly 612,000 American jobs and contributed $440 billion in U.S. gross domestic product from 2013 to 2017, or $88 billion annually, according to a new report. The report found that electric co-ops contributed $881 billion in U.S. sales output, $200 million in labor income and $112 billion in federal, state and local tax revenues. 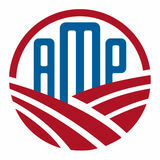 “This report quantifies what many rural American families and businesses know well — electric cooperatives are powerful engines of economic development in their local communities,” National Rural Electric Cooperative Association CEO Jim Matheson said. “Affordable and reliable electricity is a key ingredient for a successful economy.” The report was conducted by FTI Consulting for NRECA and the National Rural Utilities Cooperative Finance Corporation with information from 815 distribution and 57 transmission cooperatives. America’s ORIGINAL Walk-Behind Brush Mower! The DR® FIELD AND BRUSH MOWER is Now Better than Ever! FASTER. Up to 20 HP and 34" wide cut for faster mowing! EASIER. Power steering gives you fingertip control. NEW CHOICES: including PTO and tow-behind models for tractors and ATVs. One of seven angels in the marble sculpture called Exordium. estled in the heart of northeastern Colorado’s peaceful, rolling plains lies the little town of Merino. Cattle dot the fields, students fill the award-winning junior-senior high school and, on Main Street behind a century-old curtained storefront inviting no attention whatsoever, sits a fascinating array of spectacular sculptures. This is the studio of Bradford Rhea, and it gives just a small taste of the work that this brilliant artist has created in his lifetime. Almost anyone living in Merino or 10 miles up the road in Sterling can point out more of Bradford’s sculptures. They are on display at over a dozen locations throughout the area. There is the revolutionary-era minuteman, a group of five giraffes gazing to the sky and an extraordinary piece inspired by a verse from the Bible. These and other sculptures have become such a draw over the years that a self-guided tour was created by Logan County’s Tourist Information Center. Bradford’s work in the form of a carved wood staff for President Bill Clinton to present to Pope John Paul II during World Youth Day held in Denver that summer. Made from the roots of a honey locust tree, the staff had to be completed in only seven days. “God did the whole thing,” he said. Faith, humility and gratitude Those who know Bradford describe him in much the same way; a remarkably faithful, humble, private person who loves his creative, quiet life in Merino. He speaks often of the deep gratitude he feels for his friends, his local communities and especially his family. Scion (above), carved from cottonwood, represents the tenacity of those who live on the plains. “He’s got a tremendous talent and it’s always been a pleasure to work with him and see his creativity. It’s just astounding to me.” Victor Wisdom, co-owner of Wisdom Rides the process, noting that “the slower you’re moving, the more you see.” Bradford has developed a special affection over the years for working with the native wood of Colorado’s high plains. COVER STORY Catalyst to a growing arts movement Recent years saw a growing and enthusiastic arts movement in Sterling and the surrounding area, with support and coordination from the Colorado State University Northeast Regional Engagement Center. Just over two years ago, Sterling Creatives, a local artists’ co-op, officially opened its doors in downtown Sterling. “It was a sign to the community of what could happen with the arts,” said Karen Ramey-Torres, director of the Engagement Center. “We are now in the running for becoming a creative district and have received an invitation from the state to apply for official certification.” Ramey-Torres describes a creative district as a boundary-dictated location that is home to a concentration of broad artistic activities — activities that, in turn, help attract more creatives to the area. She sees a bright future for the entire northeastern Colorado corridor and says it’s a short journey to connect the dots between Bradford’s work and the fertile ground that exists for creative arts in the region. “He is seen as that sort of nexus of art going way back,” she said. “I think it really did start with Brad.” “Since the sculptures are one of our tourist attractions, it just made sense to continue the artistic momentum and grow it in our community,” Johnson added. Both Merino and Sterling have benefitted from Bradford’s civic commitment and generosity to their communities as well. Among many other highlights, he created a coin for Merino High School to raise funds for art scholarships and had a hand in designing a large, colorful mural on Main Street. More recently, he designed a custom bicycle-themed trellis placed in Sterling’s Pioneer Park to celebrate the Pedal the Plains cycling tour’s stop in the city. As always, Bradford is quick to deflect any attention, pointing out that he is only one of many others who helped make the projects a reality. Carving the next chapter It’s been said that artists never really retire. As the end of his tenure at Wisdom Rides draws nearer, Bradford shows no signs of slowing down creatively. If anything, the opposite is true. With support from the many treasured people in his life and infinite inspiration from his personal journey of faith, he feels like he has “the wherewithal to explode creatively.” It’s difficult to imagine how much more creative Bradford could become, but his supporters near and far will be waiting and watching with excited anticipation for what comes next. “He’s just an inspiration to everyone,” Ramey-Torres said. “Anything I’ve been able to accomplish has so much to do with other people and with God,” Bradford reflected. “I want to spend the last years of my life doing good and something to glorify God.” Mary Peck is a Colorado freelance writer who enjoys discovering and exploring stories unique to the Centennial State. #RoamFreely Enjoy Free Range Tourism in Logan County! Take a fresh look at Northeast Colorado. Be a part of our history. Explore shops & eateries. Step into wide open spaces... All at Your own Pace! omplacency can be dangerous. And with years of experience and daily repetition, it is easy to get complacent — both at home and on the job. But complacency at work, especially for electric lineworkers, can be disastrous. Working with electricity is one of the most dangerous jobs out there and one mistake can lead to a catastrophic event. For example, if a lineworker fails to inspect his rubber gloves and has the smallest tear, he could be vulnerable to a fatal contact with electricity. A new electric co-op initiative is designed to help lineworkers get back to basics, slow down and take time to be safe. Identifying the problem About five years ago, the injury rate at electric cooperatives was declining, but a closer look showed that the most serious injuries and fatalities were far too frequent to ignore. From 2006 to 2016, the electric cooperative industry experienced an average of 23 injuries per year. Of those injuries, approximately 40 percent — 10 to 11 per year on average — were from an electrical contact. “When we looked across the industry, it was the same across communities in the industry, so we started partnering with Federated (the electric co-op insurance company) and meeting with cooperative leaders and looking at what we could do to study the problem,” said Bud Branham, director of safety programs at the National Rural Electric Cooperative Association. “We started looking at that [data] and realized very quickly it’s a cultural- or behavioral-based problem where people — at organizations and co-ops — get blind spots over time, and in those blind spots you might have some inconsistencies in your basic work practices.” “A lot of times we just focus on the power lines; we don’t focus on the other things around us,” said Dale Kishbaugh, director of safety and loss control at Colorado Rural Electric Association. Things like surrounding traffic, uneven working ground or confined spaces could affect how safely a job is done. Taking time to talk through a procedure is paramount to keeping everyone safe on a job site. a large effect on changing or affecting their behaviors and awareness.” “Commitment to Zero is not the next program; it is an initiative focused on eliminating contacts by permanently changing culture and addressing perception and behavior,” noted Corey Parr, Federated vice president of safety and loss prevention. “The initiative is focused on three keys: awareness, expectation and accountability.” Commitment to Zero Contacts comes with a slate of resources to help electric co-ops get started, including implementation guides, placards, videos and promotional materials. Federated even created an app: S.A.F.E. An acronym for Stop And Focus Everyday, the S.A.F.E. app is a job-planning tool to help workers avoid missing crucial steps at every job site, especially the most routine jobs where oversight and injuries are most common. “The intention is just trying to get everybody to do their best every day, and if you see somebody in harm’s way, prevent it before it happens,” Kishbaugh said. that commitment that they’re going to go home the same way they came to work every day.” Many electric cooperatives already have a safety program established and use the Commitment to Zero Contacts program to enhance it, which is highly encouraged. Fort Collins-based Poudre Valley Rural Electric Association and Mountain View Electric Association, with offices in Falcon, Limon and Monument, are two Colorado cooperatives doing just that. “When I heard about the program, rather than just jump on it right away, I came back and I talked with our safety team to get their ideas,” said Jeff Wadsworth, president and chief executive officer at PVREA. Wadsworth handed it off to a team of employees, which consisted of linemen, equipment operators, tree trimmers and even office employees who also face work hazards every day. The PVREA team took the Commitment to Zero Contacts initiative, integrated it into their current safety program and began promoting it with specially-made hard hats, stickers and signs. They even created a video called “This is My Why,” featuring PVREA families who remind their loved ones to be safe on the job, saying: “We want our loved ones home at night,” “So we can grow old together” and “So we can play LEGO games.” Based on employee feedback, MVEA rolled Commitment to Zero Contacts into its “Commitment to Safety” program that targets three groups within the co-op: leadership, qualified employees and employees who do not work with high voltage. Those in each group were asked to sign a “Commitment to Safety” pledge. “When employees get hurt, or worse, it affects everyone and changes everyone forever,” said Todd Thomas, safety compliance administrator at MVEA. “This effort is intended to remind us to slow down, be safe and watch out for each other. We do this for ourselves, our families, our friends and our co-workers.” MVEA’s “Commitment to Safety” logo can be found on all internal memos, the monthly safety posters, in the monthly employee newsletter and on employee wallet cards that highlight MVEA’s Safety Improvement Plan Priorities as well as important RESAP (Rural Electric Safety Achievement Program) information. As of late February, 14 of those in Colorado’s electric co-op community had made the Commitment to Zero Contacts; 530 co-ops nationwide made the pledge. “The commitment we ask for is not about people admitting they’re doing anything wrong or that there’s any finger pointing, or blame pointing,” Branham explained. “It has nothing to do with liability. In fact, we hope that the commitment will reduce the exposure, and the co-ops are aware across the country so that we have our people go home safe at night. Basically, that’s the bottom line.” Amy Higgins is a freelance writer for Colorado Country Life. and grass clippings spread more easily than wet material and can later be worked into the soil. If using straw, try to find clean straw without a lot of grain seed. Avoid using chemically treated organic matter in vegetable gardens and remember to apply mulch thick enough — approximately 2-3 inches — to prevent weed seed germination. Another option is plastic film, which suppresses weeds and has been shown to increase tomato yields. White film reflects light, but if it is black underneath, it will suppress weeds. Since most plastic is impermeable to water, you should place a soaker hose or drip system under the film. Regardless of which method or combination of methods you use, you will save time in the long run if you are persistent and destroy weeds when they are small. Gardener Vicki Spencer has an eclectic background in conservation, water, natural resources and more. LEARN MORE ONLINE Read previous gardening columns at coloradocountrylife.coop. Click on Gardening under Living in Colorado. NEW Footrest Extension for even more head to toe support. We’ve all had nights when we just can’t lie down in bed and sleep, whether it’s from heartburn, cardiac problems, hip or back aches – it could be a variety of reasons. Those are the nights we’d give anything for a comfortable chair to sleep in, one that reclines to exactly the right degree, raises feet and legs to precisely the desired level, supports the head and shoulders properly, operates easily even in the dead of night, and sends a hopeful sleeper right off to dreamland. Our Perfect Sleep Chair® is just the chair to do it all. It’s a chair, true – the finest of lift chairs – but this chair is so much more! It’s designed to provide total comfort and relaxation not found in other chairs. It can’t be beat for comfortable, longterm sitting, TV viewing, relaxed reclining and – yes! – peaceful sleep. Our chair’s recline technology allows you to pause the chair in an infinite number of positions, including the lay flat position and the zero gravity position where your body experiences a minimum of internal and external stresses. You’ll love the other benefits, too: It helps with correct spinal alignment, promotes back pressure relief, and encourages This lift chair puts you better posture to prevent back and muscle pain. safely on your feet! Easy-to-use remote for massage, heat, recline and lift And there’s more! The overstuffed, oversized biscuit style back and unique seat design will cradle you in comfort. Generously filled, wide armrests provide enhanced arm support when sitting or reclining. The high and low heat settings along with the multiple massage settings, can provide a soothing relaxation you might get at a spa – just imagine getting all that in a lift chair! It even has a battery backup in case of a power outage. Shipping charge includes white glove delivery. Professionals will deliver the chair to the exact spot in your home where you want it, unpack it, inspect it, test it, position it, and even carry the packaging away! You get your choice of bonded stain and water repellent leather or plush microfiber in a variety of colors to fit any decor. Call now! Please mention code 110702 when ordering. Because each Perfect Sleep Chair is a custom-made bedding product, we can only accept returns on chairs that are damaged or defective. simultaneously, can detect danger in a zone 300 degrees around them and are suspicious of just about everything but themselves. It can be done, but trying to sneak up on one is all but impossible. The most likely way to bag a wild gobbler is to lure one from the flock early in the morning after he flies down from the roost, but before he takes up with the hens. First, of course, you have to find the turkeys. Experienced hunters typically scout back roads late in the day trying to locate active turkey roosts. They may use a crow, coyote or owl call to shock a roosting tom into gobbling and giving away his location, then return early the next morning to set up an ambush nearby. They sneak into the woods well before daylight; conceal themselves in understory brush or erect a small, portable pop-up blind; and wait for the turkeys to fly down from the roost. Once the turkeys are on the ground, the hunter will start calling, using a mouth or hand call to lure a big tom away from the flock of lovesick hens. Sometimes, one will leave his harem to investigate. Most of the time they won’t. They’re not that stupid. Dennis Smith is a freelance outdoors writer and photographer whose work appears nationally. He lives in Loveland. MISS AN ISSUE? Catch up at coloradocountrylife.coop. Click on Outdoors. Here are two steps you can take before flooding begins to affect the safety of your home: 1. Have a sump pump with a backup battery in case the power goes out, as well as an alarm to alert you of flooding. 2. Elevate the water heater, electric panel, and furnace to keep them clear of potential floodwaters. Here are some suggestions to help keep you and your family safe during flooding: 1. Never attempt to turn off power at the breaker box if you must stand in water to do so. If you cannot reach your breaker box safely, call your electric utility to shut off power at the meter. 2. Never use electric appliances or touch electric wires, switches or fuses when you are wet or standing in water. 3. Never step into a flooded basement or other room if water may be in contact with electrical outlets, appliances or cords. 4. Replace appliances and electronics that are water damaged. 5. If instructed to evacuate, turn off utilities at the main switch before leaving. Unplug appliances and electronics. Upon return, do not re-enter your home until you are certain it is safe. …with Dual Rotating Tines! • Our PRO XL Rototiller lets you choose forward rotation for cultivating, or counterrotation for deep soil tilling or sod busting. • One-Hand Operation! Self-propulsion lets you walk to one side while you easily steer with one hand, leaving no footprints in the freshly tilled bed! eavy rains, snowmelt and rising water levels can all cause flooding. As the flood waters rise, so do your chances of electrical injury — even in your own home. According to the Federal Emergency Disaster Agency, floods are one of the most common hazards in the United Sates. Whether it is a flash flood or an inland flood, there are many electrical dangers in your home that you need to be aware of to keep your family safe. NOW 3 WAYS TO START YOUR AMAZOY ZOYSIA LAWN! 1) New Super Plugs come in handy trays, pre-cut as individual 3"x3" plugs ready to plant. Enough for 60 sq. ft. from $24.95 + shipping. 2) Freestyle Plugs come in uncut sheets with up to 150 - 1" plugs. Or for less cutting and planting, make each plug bigger and plant them farther apart – your choice. Enough for 300 sq. ft. from $29.95 + shipping. 3) Amazoy-Approved Seed – As the Zoysia Experts for 60+ years, we finally have a Zoysia seed that meets our standards and homeowners’ expectations. Available in 2-lb. bags, enough to cover over 1,000 sq. ft.
Want to buy cast-iron cookware (Wagner & Griswold). Pyrex. Old toys in good condition. Vintage signs. Anything cowboy and Indian — hats, boots, spurs, rugs, etc. Antiques, collectibles, furniture, glassware, etc. We come to you! Wanted: Jeep CJ or Wrangler. Reasonably priced. No rust buckets. Also sell portable concentrators and oxygen supplies. Repair and service of equipment. Stop feeding prairie dogs. We’ll rent hunting rights from you. Seriously looking for duck & goose habitat. Encourage young sportsmen by providing safe, private access. You make the rules. Check out our new 3D designer on our website! Visit our website at WorldwideSteelBuildings.com for more information. minerals and oil/gas interests, producing and non-producing. Want to work from home? Tired of the scams? Calendar, Colorado Country Life, 5400 Washington St., Denver, CO 80216; fax to 303-455-2807; or email calendar@coloradocountrylife.org. Please send name of event, date, time, venue, brief description, phone number, a photo, if you have one, and email and/or website for more information. Hallie and Larry Slivon visit Otira Stagecoach Hotel in Otira, New Zealand, with their copy of Colorado Country Life magazine. They are consumermembers of La Plata Electric Association, Durango. Justin Green takes CCL to the remnants of the Hanyangdoseong (wall of Seoul) and the Sungnyemun (south gate) in South Korea. Justin is a consumer-member of Mountain Parks Electric. Emily Olsen, a consumer-member of Poudre Valley Rural Electric Association from Lyons, poses with CCL along the north shore of Kauai, Hawaii. Mountain View Electric Association consumermember Susan Voss-Graham of Monument goes to the Snowhotel Kirkenes in Norway. Take Your Photo with Your Magazine and Win! It’s easy to win with Colorado Country Life. Simply take a photo of someone (or a selfie!) 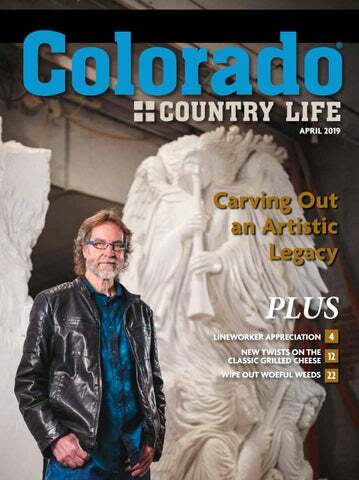 with the magazine and email the photo and your name and address to info@ coloradocountrylife.org. We’ll draw one photo to win $25 each month. The next deadline is Monday, April 15. Name, address and co-op must accompany photo. This month’s winners are San Isabel Electric Association consumer-members Victor and Grace Lucero. They took their copy of Colorado Country Life to Maui, Hawaii. See all of the submitted photos on Facebook at facebook.com/COCountryLife. Words From the Wise Coaldale-based Western Native Seed not only sells quality seeds that are native to Colorado, but it also provides useful information about the seeds you’re planting. Just visit westernnativeseed. com and hover over the “Guides” tab to find the category you’re interested in. The guides provide valuable information, such as the best type of soil for the plant, how large the plant will grow and the best time of year to place seeds in the ground. Add a little outdoor adventure to your landscape with Colorado Ski Chairs. The Manitou Springs-based company builds one-of-a-kind outdoor and indoor furniture and wall art using skis, snowboards, wake boards, old ski chairlifts and more. You’ll love its collection of pieces that come emblazoned with our beloved Colorado “C” and dote over the variety that conveys a feeling of the Rocky Mountain outdoors. For more information, call 303-775-7273 or visit coloradoskichairs.com. Woodworking That Wows With a little labor and love, your outdoor garden can become a beautiful, whimsical space you won’t want to leave. Woodworking for the Garden by Alan and Gill Bridgewater can assist you in creating attractive seating areas, planters, arches, tree houses and more with step-by-step instructions, illustrations and tips. It also helps you to identify the best tools for the project, the best materials for the project and tips on maintenance once you are finished. For more information, visit foxchapelpublishing.com. Each of Colorado’s 22 locally-owned electric distribution co-ops focuses on the needs of its consumer-members. Those needs vary from co-op to co-op and from community to community: • Electric co-ops serve the poorest counties in Colorado, but also more affluent suburbs and resort towns. • Some co-ops serve predominantly homes and farms, while others serve businesses and industry. • The largest co-op in Colorado has over 160,000 consumer-members; the smallest has 3,000. • Co-ops contract for the electricity they distribute with different power suppliers that have different requirements and resources. • Colorado’s co-ops average 7 consumer-members per mile of line, a lot fewer than other utilities. • All Colorado co-ops use renewables, but which resources and how much varies with each community. Despite these differences, all of Colorado’s Electric Cooperatives are led by local consumer-members who respond to the needs of the communities they serve. For more information visit crea.coop or call 720-407-0702. Hopper, Hopper w/Sling, or Hopper 3 $5/mo. more. Upfront fees may apply based on credit qualification. Fees apply for additional TVs: Hopper $15/mo., Joey $5/mo., Super Joey $10/mo. You could be watching DISH tomorrow!